There’s a great deal of research and understanding going into the best approaches to problem solving and entrepreneurship around the world. One of the few things that’s almost universally agreed upon, is that knowing your customers / users, and their problems, is absolutely vital to building tools and solutions that they will use. To that note, we’ve hunted out the best of the best resources for you to help you on this path. Presenting “An Introduction to User Personas” and “DIY User Personas” from the extremely excellent UX Lady! Step 1: Check out the introduction here to understand more about the ‘why’ of user personas. 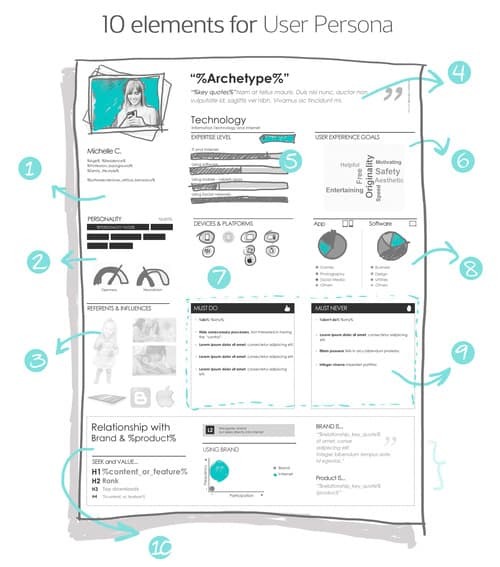 Step 2: Once you’ve read that, have a delve into doing your own UX personas. The detail is all in there about how to do it – however deep you want to go! We generally suggest doing small, focused sessions on these as a fun way to tackle these together as a team (or on a hangout!). Alternatively you could do one persona each and then bring them together at your next team meeting. Step 3: Print out your personas on the wall where you work! You need to keep these people front and centre of everything you’re doing – whether it’s design, development, business development, or communications & marketing. We know you’ll find some really exciting insights when you start discussing them together – we did when we did it for Lifehack! Finally, just a gentle reminder to get obsessive about talking to people who are likely to use your service – this is how you’ll learn the most for the personas and get the greatest insights, rather than making it all up in isolation or in the team. Try it… it’ll be fun, we promise!! STILL not convinced? Read this article NOW.